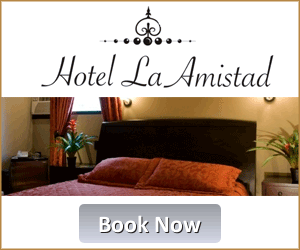 A renovated 1920's era mansion, Hotel Amistad offers rooms with South Beach Miami flare, and in style of a bed and breakfast. All suites include queen beds with memory foam mattresses, 30" flat screen televisions, mini refrigerator, electronic safe, free local calls, 80 channels of free cable TV, HBO, Cinemax, air conditioning, and a made to order breakfast served every morning. 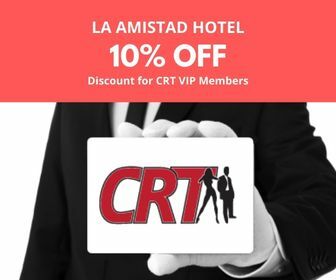 Guests who book an all-inclusive rate enjoy all-inclusive dining at the Amistad restaurant, along with the restaurant at the nearby sister property, the Castillo.